Throughout the long, recorded history of Western civilization, and indeed the world, there is perhaps no intellectual culture as influential on secular thought as that of the civilizations of the ancient Mediterranean. Across a period spanning roughly a thousand years —circa 600 BC to 400 AD — these societies, especially the Greek and Latin-speaking ones, would preside over a great flowering of philosophy, as well as practical knowledge in fields as diverse as mathematics, geometry, astronomy, biology, and countless others. From the Athenian agora where Socrates first held his dialogues to the various modern Classical Education curricula, this intellectual heritage still influences both curricula and pedagogy today — and lately it has found itself being examined with renewed interest, due in no large part to the intellectual philistinism sweeping through pop culture and academia. But this surge of renewed interest raises with it old questions, questions which are particularly relevant for the Orthodox Christian: the problem of how to properly approach and utilize this inheritance—particularly in an educational setting — formed as it was in many ways by the pagan culture which originally gave birth to it, while adhering to the divine revelation of the Gospel and the continuing witness thereof in the Church. As we will soon see, these old questions are complicated and multifaceted, but this presentation will endeavor to provide some answers to them by surveying the tension between patristic and secular attitudes towards the wisdom of classical antiquity across Church history. Before launching into the subject of the attitudes of the early Fathers towards pagan learning, it will be helpful to outline the general structure of education in the ancient world as it existed in their time. While historically there had been major differences in Latin vs Greek approaches to education, by this point (the period known as Late Antiquity — circa 200-400 AD) they had been significantly cross-pollinated and mingled together. Education started at home, first from the parents, and then proceeded either through educated slaves, attached freedmen, or hired tutors. At roughly 9-12 years old, children would start learning grammar formally in a more structured classroom environment, typically with a second language (Greek/Latin) as well. Then came rhetoric/logic, and finally philosophy. These three subjects (Grammar, Rhetoric/Logic, and Philosophy) came to be known as the Trivium — the three subjects needed as a foundation for any well-educated individual. On top of these came the four specialized subjects known as the Quadrivium (Arithmetic, Geometry, Music, and Astronomy, though some substituted Medicine somewhere in there), which were essentially the STEM fields of the ancient world. Structure aside, it is difficult to overemphasize the degree to which education of this period was completely formed by pagan morals, culture, and philosophical ideas. A child would learn Grammar via Homer, Horace, Pindar, and Virgil — unparalleled masters of language and verse, but those verses were full of rapine and violence, and praises to pagan gods. An older student would learn philosophy, but it would be filled with conclusions incompatible with Christianity. A student of mathematics would study Pythagoras and his pioneering work on geometry, as well as what would become known as algebra, but he would also absorb Pythagoras’ obsession with mathematical occultism (which is an all-but-forgotten aspect of Pythagorean theory that few are aware of today). A student learning astronomy (in-order-to, say, chart the seasons or calculate Pascha in a Christian setting) would be likewise taught astrology and horoscopes, as the astrology and astronomy were inseparably intertwined to the ancients. And so on and so forth. Incidentally, this comprehensively pagan curriculum would be used as a weapon by figures like Julian the Apostate, who forbade Christians from studying any book written by a pagan, or attending any school taught by a pagan. His intent (and it would likely have proven effective, if he had not abruptly died) was to freeze Christians out of Roman society altogether, and to force them into both literal and metaphorical ghettos. While the fathers of the first 500 years of Church history came from all walks of life and possessed their own individual personalities, when taken as a whole, there are several attitudes shared amongst virtually all of them, towards the pagan cultural inheritance that become distinct. Firstly, a deep appreciation for the benefits of education, including the skills learned from pagan teachers and the useful knowledge that could be gleaned from the pagan writers of antiquity. Secondly, a deep familiarity with the culture and mindset of the pagan world, one derived by direct contact with it (and in many cases, persecution at its hands). Thirdly, a deep awareness of the spiritual landscape of pagan education and literature, and accordingly, a strong desire to preserve Christians from being harmed by these many spiritual pitfalls. Amongst the great host of saints of this period, I’d like to focus on the Three Holy Hierarchs (whose lives stretched from the 4th to the early 5th centuries) as case studies in the use of pagan education at this time, both in theory and in personal and pastoral practice. They’re far from the only examples, but I think they’ll be particularly helpful to focus on, due to the stature of both their education and their spiritual lives. Additionally, they lived at a critical juncture in Church history — one in which the Church was struggling to find a new balance in its relationship with Roman society and culture. A mere generation before, Constantine the Great had suddenly legalized Christianity and lent it his support, an event which allowed it to emerge from the catacombs, only to deal with both new heretical threats (Arianism) and resurgent pagan hostility (such as from Julian the Apostate). Additionally, the newfound legality of Christianity brought its own dangers — now that Christians could mingle freely and openly with their pagan neighbors, it also opened the door to the blurring of lines — the threat of pagan syncretism entering Christianity, such as was briefly proposed during the Eugenius Crisis, when the usurper Eugenius (who had seized the throne in the West) offered to compromise between Christians and pagans by adding Christ to the pagan pantheon. St. Basil the Great was born into an upper middle-class family in the Roman province of Cappadocia, and his childhood years (as well as those of his brother, St. Gregory of Nyssa) were marked by what was by all accounts a rigorous home education under his mother Emmelia and his sister Macrina. When he started attending classes at one of the schools in Caesarea as a teenager (when he embarked upon the more formal part of his education), he met and became good friends with the future St. Gregory of Nazianzus, and they would travel together across the eastern Mediterranean for the better part of the next decade as they moved from school to school learning all they could. They both had an interest in philosophy and rhetoric, and their travels took them to Constantinople, where they briefly studied rhetoric under the famed pagan teacher and master rhetorician, Libanius. They also studied philosophy in Athens, and while they were there, they were classmates with the future Julian the Apostate. As a brief digression, this detail is an important example of the deeply personal experiences with the ups and downs of pagan culture that these fathers possessed, as mentioned earlier. Julian was (nominally at least) a Christian when Basil and Gregory met him, and his apostasy and subsequent turn on the Church would have served as a severe warning of what an unbalanced obsession with pagan culture could lead to. Basil’s strong words here notwithstanding, he was still appreciative of the skills he learned in his education, and would write elsewhere (in a pastoral letter to young men inquiring about pagan education) about its proper use. He speaks in turns both approvingly and disapprovingly of pagan literature — citing many admirable writers, and criticizing others. He also makes use of a number of visual analogies to illustrate his thoughts: he compares worldly education to a sea and the student to a ship, and instructs that care should be given to always have a firm hand on the rudder, so as not to be swept away by ‘giving your mind unqualifiedly to these men’ like storms and currents (one suspects that Julian might well have been at the back of his mind while he wrote this). He also compares a wise student to a bee flying selectively from plant to plant, discriminating between profitable and unprofitable flowers, and selecting only those that will produce fruitful honey — and then only carrying as much as is needed, so as not to be weighed down. In this vein, he goes on to recommend that the student approach the pagans with a constantly discerning eye, embracing what is good and fleeing from that which is not. This last comparison, that of the bee, would become very popular in later patristic commentary, as we’ll soon see. Although St. Basil never really draws attention to his education explicitly in his writings, its influence is still discernable in how he communicates. His lawyerly training is apparent in his methodical and precise writing — while his mind is by no means that of a legalistic theologian, he uses the rhetorical techniques of a lawyer from the period to ensure that his thoughts are understood clearly and without any ambiguity by his hearers and readers. This makes for an interesting contrast with his younger brother, St. Gregory of Nyssa, who unlike Basil never journeyed abroad, and was taught entirely by his mother, sister, and Basil when he returned home. While by no means lesser than St. Basil in terms of the spiritual life or quality as a theologian, St. Gregory of Nyssa is typically more conversational in his writings than his methodical older brother — this isn’t a comment to pitch one vs the other, or to denigrate St. Gregory of Nyssa, mind you — it’s merely an observation that since he wasn’t educated as a lawyer, he doesn’t ever communicate like one. St. Gregory of Nazianzus’ background, experience, and attitudes were much the same as St. Basil’s, much as one might expect given their lifelong friendship and shared student years. Unlike Basil, however, his stronger background in philosophy was put-to-use in one of the key ways that he illumined the Church through his teachings — he made use of the philosophical terminology of pagan antiquity to clarify his theology for a wider audience, effectively baptizing it into use for the Church. That is not to say that he invented his teachings, but rather that he crystalized a process (which stretched back to the very beginning of the Church) of making use of the standardized toolbox that was Greek philosophical jargon and improving upon its use in a Christian context, especially in explaining Orthodox doctrine regarding the Trinity. Last but no means the least of the Three Hierarchs is, of course, St. John Chrysostom. He is particularly interesting as a subject of this discussion, as he arguably used the skills gained during his education to a greater degree on a day-to-day basis than either of the others. As a young man, John devoted himself to the study of rhetoric and the art of public speaking. He studied for years under the personal tutelage of Libanius (whom, as previously mentioned, briefly taught both Basil and Gregory of Nazianzus), and quickly emerged as his foremost student and protégé. Libanius was the undisputed master of rhetoric and oratory of his time (as well as someone of no small stature as a philosopher), and a committed pagan. He had been a confidant of the late emperor Julian and remained a lifelong champion of Julian’s memory and pagan cause long after the emperor’s death. Libanius was especially famous for his skill in panegyric — a very particular genre of public speech which took the form of highly elaborate flattery and praise of the subject (usually the sponsor, be it an aristocrat or an emperor), employing both masterful prose or verse as the subject and occasion demanded. Libanius was so famed for these performances that he was a regular figure in the imperial court, and was enlisted to deliver panegyrics (despite his open paganism) before Arian and Orthodox emperors alike (actually, his last panegyric being delivered at the enthronement of Theodosius the Great as eastern emperor). To be a student of Libanius not only meant receiving a world-class education, it meant having doors opened to the very highest circles of Roman society. Thus, Libanius was deeply surprised and even shocked when his star pupil dropped everything upon finishing his studies, and ran off to the Syrian desert to become an anchorite. Libanius would later exclaim in frustration that John could have been even greater than him, if those Christians hadn’t stolen them from him. If God can be described as having a sense of humor, it must be a deeply ironic one — after all, over 1600 years later Libanius is but a footnote, and his runaway student would surpass him in every possible way. Here, then, we see the patristic attitude towards the pagan intellectual inheritance fully displayed in practice. All three of them appreciated the skills and knowledge they learned from it, all three engaged in it with a full understanding of the pagan mind and spirit, and all three kept their spiritual senses of discernment sensitive to its proper use, so as not to let it draw themselves or others into error. If we move a little further forward into the 5th century and look in the West, we’ll see much the same views expressed in St. Augustine’s writings. In a letter directed towards young men on the proper study of pagan authors, Augustine largely follows and paraphrases St. Basil’s letter on the same subject, warning them to exert careful spiritual discernment between that which is profitable and unprofitable, and not to be misled into thinking true happiness can be found in intellectual pursuits, and then makes a comparison of his own that is both striking and edifying, and it is this comparison that is the inspiration for the title of this presentation. The Egyptians had many great works of gold and other precious items, but the Israelites only took with them what they could carry. Likewise, we should only take what is useful and useable, and leave the rest behind so as not to be burdened by it. Additionally, the gold that is useful is ultimately from God — pagans who endorsed something truly virtuous were actually embracing something that came from God through natural revelation, even if they themselves did not understand it clearly or correctly apply it. The gold that the Israelites took with them had two primary fates — some of it was melted down into the Golden Calf. This pagan inheritance was inappropriately valued and used, and therefore became a source of error and destruction. The rest of the gold was put to use in the Tabernacle. Some of it was melted down to form the various dishes and lamps and censers and other implements that the priests used as tools to offer service to God, and the rest was used to gild the Ark of the Covenant. But most importantly, the Ark was not made from that gold itself, nor were any golden items or implements placed inside of it. The Ark was made from desert Acacia, a small, scraggly, slowgrowing tree, and shaped by Moses and his helpers with their own hands. The trees are hard to find, and it would have taken a major effort to search the desert to find enough to work with. It is a dense, knotty wood which only comes in small pieces, due to the size of the trees, and it’s very difficult to work with — the Ark was quite literally made from the wood the carpenters rejected, so to speak. Inside the ark lay the Rod of Aaron — the emblem of the sacramental priesthood — a jar of manna, the miraculous life-bringing prototype of the Eucharist — and finally the stone tablets of the Law themselves, the literal manifestation of God’s revealing himself to Man through Moses. but it cannot ever replace or even touch the actual God-revealed truth, which is carried in a chest formed from lowly Acacia wood. Having discussed the views of the early fathers at some length, let us now return to events in the outside world. In the mid-500s, Justinian I issued an edict closing the pagan schools, which had persisted up until this time. This allowed Christian schools to flourish, which had until now struggled to compete against the pagan monopoly on education. Additionally, these events came at a time when the great flowering of Orthodox writings (both on purely theological topics as well as more secular ones) that had been steadily growing-in-size and depth since the 4th Century (when Christianity was legalized) allowed for curricula to develop that were less directly dependent on pagan material. This was the age of St. Romanos the Melodist, when he and other Christian poets were composing hymns and other works in verse that were every bit as technically sophisticated as those of Pindar and Horace, etc. Even a hundred years before, Augustine had also commented to the prospective students that given the rapidly increasing size of Christian literary output, it might be better to search thoroughly through that for any answers one might need, and only then turn to pagan sources — and he went on to suggest that a worthy goal for the students would be to find subjects that not yet been comprehensively studied and curated from a purely Christian perspective, and to perform said task as a favor for future generations. While the East was experiencing a veritable Golden Age of expanding and deepening Orthodox high culture (one which extended far beyond the realm of education into such areas as ethnic culture and law), the West was engaged in a struggle for survival. The fall of the western empire a century before had led to the complete collapse of the educational system, with only monasteries and fortunate noble families being able to maintain literary activity. Naturally, the monasteries tended to focus on purely theological topics for education (which is, all in all, not surprising), while the secular sciences and philosophy of the ancients became increasingly remote and hard to access. This chapter of Western European history is fairly well known to most people. But what happened next in the East, in the 600-700s, is somewhat more obscure. In the 620s, the gigantic ‘Great War for the East’ between the Eastern Roman empire and the Persians destabilized the entire eastern Mediterranean, and created a power vacuum that allowed the newly converted Muslim forces of the Radishun Caliphate to fan out across Egypt, Palestine, and Syria, and from there to swarm across the entirety of Persia and North Africa. The shock of these invasions hit the already war-exhausted Byzantine society very hard, and the effects were felt far from what were now the front lines in Asia Minor, and the empire entered a 200-year period known as the ‘Byzantine Dark Age.’ Unlike the rather ideologically-biased and overly broad term ‘Dark Age’ when referring to post-Roman, pre-Renaissance European history in general, the ‘Byzantine Dark Age’ is a highly specific term with definite characteristics. While society and politics remained functional within the empire’s borders overall (aside from the turmoil of the Iconoclast Controversy that marked this period), the economic and social strain created by the constant Muslim pressure still took its toll, which was only exacerbated when the then-still-pagan Slavs began pushing on the western frontier, invading and settling in what is now Bulgaria and Serbia as well as briefly overrunning nearly all of Greece proper. The mix of public and private educational institutions that had survived and flourished up until this point collapsed—the state could no longer afford to subsidize schools when every free coin was needed for unending wars of defense, and the worsening security situation in large swathes of the region made travel (and therefore, travel for education) all but impossible. Between the Slavic invaders outside the walls and the Muslim pirates swarming over the Aegean, former centers of education like Athens and Thessaloniki were reduced to heavily garrisoned fortresscities. By the end of the 700s/early 800s, it was remarked that there was not a single practicing grammar teacher in all of Thessaloniki. In this era of tumult both within and without, it fell, much as in the west, to monasteries and families to keep learning alive. Monasteries, however, quickly found themselves under attack — as the great monastic centers were overwhelmingly supportive of the pro-Icon cause, they drew the ire and persecution of the Iconclastic Isaurian and Armorian dynasties. This stunted their ability to serve as reservoirs of knowledge — it was hard enough for them to teach people on patristic topics (because it frequently took them into conflict with the state), much less sort through their libraries to decide what secular learning was worth teaching. This left only families, with education becoming a family tradition within families that had the good fortune to have learned members. Knowledge and books would be passed down multi-generationally within families, which helped to keep some level of intellectual activity alive. Even so, this period is notable for how little writing was being produced, with figures like St. Theodore the Studite, St. Maximos the Confessor, and St. Theophanes the Confessor standing out as the exceptions rather than the norm. This fact even appears in seemingly minor details; compared to the period before or afterwards, very few hagiographies (saints’ lives) were written in this time. Having set the scene within the empire’s borders, let us again turn our focus to the world outside, specifically to Muslim-ruled Syria. The situation there could be described as being ‘just like in the Byzantine lands proper, just 10 times worse’, and yet amidst this upheaval would emerge the extraordinary St. John of Damascus. In terms of education, St. John’s is typical for this period — almost everything he learned, he learned within the walls of his parents’ home. And yet, through a strange set of circumstances he would also have one of the broadest and most comprehensive educations of any father, ever — making his use of this education and his perspective on it, especially after his retreat from the world to become an anchorite at the Mar Saba monastery, all-the-more enlightening. St. John’s family was in the rare position of holding a high status in Muslim society despite their religion. His father served as a high-ranking civil servant (apparently connected to the Caliph’s treasury), and he made every effort to teach his son everything he knew, as well as exposing his son to Muslim texts like the Quran (which St. John would later show a deep familiarity — and distaste — for). The most important teacher in St. John’s childhood, however, came from a very unexpected source. His father found a Christian for sale in the slave market one day, and bought him so as to free him. The man turned out to be a monk from Sicily named Cosmas, and St. John’s father brought him home to live in safety (since traveling alone back to Sicily was but out of the question). We don’t know what Cosmas was before he became a monk, but he had studied mathematics and geometry to a very high level, and while he struggled to follow his monastic calling from within St John’s home, he taught St. John these worldly subjects until his student rapidly outpaced him. Cosmas also gave St. John a formal grounding in Orthodox theology, although St. John would write relatively little on the subject until he entered Mar Saba (while it is not mentioned, one suspects that Cosmas’ example as he endured his struggles — leaving the world only to be enslaved and then ransomed, but trapped in exile and having to teach worldly matters again — influenced his pupil towards monasticism). As an adult St. John followed his father as a civil servant of the Caliphate, and the theological treatises he wrote during this time frame were primarily focused on the defense of icons. While certainly important for the Orthodox struggling with the Iconoclasts, they weren’t as large or as weighty as the writings (on this subject and others) that he would later produce as a monk. After some time following his worldly career, St. John eventually ran afoul of his superior, the Emir of the city, and St. John took it as a sign to abandon his position and seek out more important things. He took his adopted brother Cosmas (no relation to the monk — he was a Christian orphan whom St. John’s father had adopted into the family), who had much the same desires, and together they traveled to the great Mar Saba monastery in Palestine. St. John had a long struggle to be accepted there, as none of the fathers wanted to take on someone as illustrious in the world — and therefore likely difficult as a disciple — as the famous John of Damascus. Eventually he was finally allowed to enter the monastery, but was placed under an obedience not to write a word for a long time. During this time, his friend Cosmas was eventually picked to serve as metropolitan of what is now Gaza, and Cosmas asked for St. John’s obedience to be lifted so that he could write something edifying. St. John was eventually persuaded (well, forced might be a better term) to produce his first work after entering the monastery — the ‘Fount of Wisdom.’ The book is a massive one by ancient standards, starting with a dictionary on various Greek metaphysical terms, then a lengthy list and critique of various heresies, pagan religions, and non-Christian philosophies, and finally ending in a section known as ‘An Exact Exposition of the Orthodox Faith.” After completing this book he would become a veritable fountain of writing, producing an extraordinary number of treatises, homilies, and hymns during his remaining years at Mar Saba. He then goes on to finally say that he’ll do it, apparently because Cosmas has appealed to the abbot, who has released him from his prior obedience not to pick up a pen and has instead commanded him to write — St. John comments that since he’s being forced, he’ll choose obedience over his own reluctance. He then refers to taking the bee as a role model for his approach to classical philosophy — which is, by the way, a reference to St. Basil’s counsel on the subject from earlier, which is a very strong indication that St. Basil’s counsel is in the front of his mind — and then launches into the first section, on Greek philosophical terminology and concepts. He then moves on to a discussion of the various flaws in pagan philosophy and a long list of various heresies, with brief summaries of their origins, beliefs, and problems with them. (Though his section on Islam is considerably longer and more detailed than the rest, naturally). Finally, after laying the foundation by revealing his spiritual foundation, his nuanced views on philosophy and the appropriate and inappropriate use of it, and a thorough discussion on various kinds of error, then and only then does he launch into his dogmatic theology. The ‘Exact Exposition’ is logically organized and draws heavily on his education in and familiarity with philosophical reasoning in its structure and means of explanation. But, as the rest of the book very openly shows, the inspiration and source of his theology is not his education — indeed, it’s obvious that as a source of theological knowledge, he more or less views it as irrelevant. Instead, it’s something far beyond it. It’s somewhat ironic that he tried to use the example of Moses to try and get out of this obedience, because in the end, he too had followed Moses’ example: he set aside all of his (considerable) worldly concerns as a prince in a heathen land, and sought purification in the desert. And as this book and the veritable stream that followed it showed, as with Moses, with that self-purification and humility came God-illumined sight and understanding — he himself had become a fount of divine wisdom and knowledge. One: St. John’s education (as we have already established) was highly eclectic and homecentered. Scholastic education, as its name indicates (‘schola’ meaning school), is an education which takes place in an organized academic/university environment. “Furthermore, since the divine Apostle says: 'But prove all things: hold fast that which is good’ let us also find something in them worth carrying away and reap some fruit that will be of profit to our soul. For every craftsman has need, also, of certain things for the prosecution of his works, and it is also fitting for the queen to be waited upon by certain handmaidens. So, let us receive such sayings as serve the truth, while we reject the impiety which exercised an evil tyranny over them. And let us not belittle that which is good. Nor let us use the art of rhetoric for the deception of simpler folk. On the other hand, although the truth stands in no need of the service of subtle reasonings, let us definitely use them to overthrow both those who fight dishonestly and that which is falsely called knowledge. And so, having invoked Christ as our Guide, the subsistent Word of God by whom 'every best gift and every perfect gift' is given, let us make our beginning with such principles as are adapted to those who are still in need of milk. May those who happen upon this work have it as their purpose to bring their mind safely through to the final blessed end which means to be guided by their sense perceptions up to that which is beyond all sense perception and comprehension, which is He who is the Author and Maker and Creator of all. For ‘by the beauty of his own creatures the creator is by analogy discovered,’ and 'the invisible things of him from the creation of the world are clearly seen, being understood by the things that are made.' Thus, if we apply ourselves in a meek and humble spirit to the attainment of knowledge, we shall arrive at the desired end." There is admittedly some danger of wandering off-topic in a discussion of scholastic education, as it must be distinguished from scholastic theology (the development of which is closely intertwined with scholastic education). But suffice to say for now that while related, scholastic education and scholastic theology are not entirely synonymous. As we have seen, to St. John of Damascus and the Fathers that preceded him, an education rooted in pagan wisdom (or even more broadly, a secular education in general), can certainly be a very useful thing, though it must be undertaken with a watchful eye of spiritual discernment. But it is not the one thing needful. To them, the spiritual and ascetic life (ascesis in its broader sense of the spiritual struggle required of all Christians, not just those under a monastic rule) is the fire that purifies and illumines the mind and soul like steel in a forge — like a blacksmith forging a knife, it is the hard and laborious hammering of the steel that drives out the metal’s impurities and replaces them with the burning elements from the furnace that will strengthen it, and the proper application of heat that gives it its toughness — not too soft, nor too brittle. After all of this, worldly education is like a final polish of the knife’s edge on a whetstone — noticeable and useful when carefully done on a correctly-made knife, but useless (or even destructive) when done on a poorly forged one. By the 840s, a semblance of normalcy was beginning to return to the world. 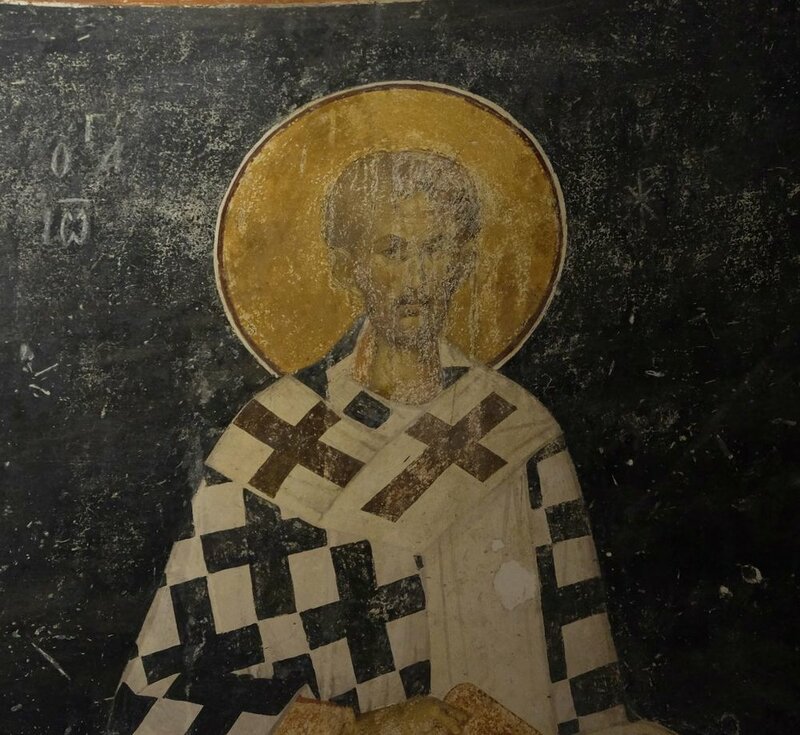 In the East, the borders of Asia Minor had stabilized, and Theophilus, the last of the iconoclasts, had decreed that while he would not allow icons in his presence, he would not punish others for their use. This de facto surrender on the matter of icons came as much-needed breathing room for the eastern centers of monasticism and served to calm the tumultuous social upheaval fueled by the iconoclast controversy. In the midst of these calming waters, a nobleman in Constantinople took it upon himself to resuscitate the nearly defunct tradition of formal education (education having mainly been passed on through tutors during this period) in the capital by founding a school in the old Senate House of the city (a building called the Magnaura). Its high-minded purpose was to “revive the secular wisdom that had been neglected by previous generations, which had wallowed in boorishness and illiteracy.” Its first headmaster, a man named Leo the Mathematician (a noted scientist and inventor at the time in his own right), set about his new responsibilities with enthusiasm, traveling from monastery to monastery, searching their libraries and archives for every secular text he could find. In the west, the unexpected (if short-lived) sense of order brought by the reign of Charlemagne in what is now France, parts of Germany, Austria, and northern Italy fueled a similar sense of cultural optimism and inspired further political pushes towards centralization and organization, particularly in France, Spain, and central Italy around Rome. Additionally, Charlemagne’s associating himself with ancient Roman imagery helped spark a romantic interest in the longobscured writers of pagan antiquity, and the deepening contacts with the formerly remote east helped to feed this cultural intellectual phenomenon (with copies of various ancient treatises becoming commonly-requested items by embassies to Constantinople, as well as frequent gifts from the same). It should be noted that there was a common thread which united these developments both east and west: a theme of enthusiasm and romanticism towards the pagan intellectual inheritance, which before long began to divest itself of the more measured and discerning eye of the fathers who had originally coexisted alongside it. It would be another couple of centuries before formally organized universities began to appear in the West, but we can already see an early prototype for the Scholastic educational movement — and yes, eventually Scholastic Theology — in 9th C Constantinople. Scholasticism as a form of education was characterized by its birth in these early universities, with the evolution of an increasingly organized and structured approach to learning. Another feature of this movement was the aforementioned cultural romanticism for the secular knowledge of antiquity, which dovetailed nicely the fact that the ancient philosophers were particularly friendly to being taught didactically in a classroom. These schools sought to restore the ancient Trivium and Quadrivium as being the basis for learning, which would eventually pay great dividends in the Quadrivium subjects, such as mathematics, medicine, and astronomy. However, things quickly began to get more complicated when this cultural and intellectual undercurrent in the universities of the time influenced their attempts to teach theology. Essentially, on a fundamental level they began to see theology though the lens of secular or pagan learning, rather than the other way around. But a lot of this was all in the future and not obvious in the mid-800s — for instance, we see such figures as St. Photios being quite active in the burgeoning scholarly scene in Constantinople during this period, both before and after being made patriarch, with no hint of any major friction. It would take a hundred years or so for these impulses to first start crystalizing in the east during the Macedonian Renaissance of the 10th-11th centuries. On that note, let us make a brief diversion to explore some events from the life of St. Symeon the New Theologian, who lived from around 949 to 1022 AD. While this tangent is not specifically about pedagogy, it paints an instructive picture of the growing tension that was already being created by the emergence of the first proto-Scholastic theologians from the Scholastic educational system. St. Symeon came from middle nobility in the provinces and received the usual basic education at home. Somewhere around 10 or 11, he was sent for a more formal grammar education in the capital (with the intent of preparing him for a cushy position as a civil servant), and after some rowdy teen years he met an elder from the Studion Monastery, who would eventually inspire him to enter the Studion as a monk. Later, when he had become the abbot of the nearby Monastery of St. Mamas, St. Symeon’s life records that he found himself embroiled in a series of confrontations involving a man named Nicholas of Alexina. Nicholas held the position of ‘synkellos’ to the patriarch, a position that basically amounted to chief administrative assistant or chancellor. Nicholas is recorded as having a very dim view of St. Symeon due to his lack of formal theological education, as well as objecting to St. Symeon’s teachings on hesychasm. Nicholas sought to trip him up by asking him highly technical theological questions, questions which St. Symeon would request time to think about, and then later come back with an answer — one or more of these occasions seems to be reflected in St. Symeon’s ‘Hymn on Divine Love 21,’ in which he muses on the dangers of speaking presumptuously about God before the eyes of one’s soul have been opened — essentially, speaking of Him before you have met Him. Eventually, Nicholas allegedly arranged for St. Symeon to be dragged before the synod twice on trumped up pretexts, resulting in his exile from the city. What’s important to understand about these episodes is that while the recorder of these events, St. Niketas (who knew St. Symeon during his earthly life and wrote down the earliest account of the saint), is not lying, he is making a very specific and delicate statement to the reader that can only be understood in context. Nicholas of Alexina was not some mere functionary — he was the most important official in the church after the patriarch himself (the position of ‘synkellos’ was frequently given to those being groomed to succeed the patriarch), and he was also a trusted servant and political operative of the emperor, Basil II. St. Niketas takes it for granted that his readers would understand that by accusing Nicholas of being the cause of the saint’s travails, he is all but directly accusing the patriarch and emperor of either tolerating or supporting the harassment of one the greatest saints alive in their time—Nicholas was just the paw to a much bigger cat. St. Symeon was viewed dimly by the theological establishment of the time precisely because of his conflict with Nicholas and the growing crop of proto-scholastic theologians like him who dominated the patriarchate, and his veneration was limited for some time inside the monasteries and among the people without official recognition. Writing in the shadow of the imperial palace and the patriarchate, St. Niketas presents his material carefully, so that any reader of the time would understand his implied accusation immediately, but without doing so in a way that could lead to his punishment by that same clique. This event shows something that is important for helping Orthodox to better understand some of the finer details of how the Great Schism was fueled — while Scholasticism, both as a theological and educational system, was indeed most fully developed and ultimately embraced in the West, it was part of a larger zeitgeist that swept through intellectual circles of the middle ages, both east and west. These circles were in constant conversation with each other and exerted varying degrees of influence at various times — it was not at all a purely ‘western thought coming east’ or vice versa situation. In fact, as we’ll see later, the rise of the humanist movement in the Renaissance was to a large degree dependent on the Byzantine intellectual/academic side of that conversation. By the 12th-13th Centuries, however, this proto-scholastic theological movement had significantly weakened in its active influence, which was partly due to the monastic sympathies of the emperors Alexios I and John II, as well as Theodore Laskaris and John III Vatatzes (who are both canonized saints, though that is not common knowledge). The movement was still alive and well, however (many of its figures playing a key role in such disreputable attempts at union with Rome such as the Union of Lyons), and there had been a significant proliferation in the number of Scholastic schools (again, not specifically theological schools, but schools organized on the Scholastic model). In the early years of the 14th Century, a bright young teenager showed up at the main university in Constantinople. His late father had been a good servant and friend to the reigning emperor, Andronikos II, and the emperor arranged for the boy to get the best education possible in hopes that he would follow his father’s footsteps. As a student he was particularly fond of Aristotelian logic and was a very formidable debater, and was a favored student of the famous philosopher and courtier Theodore Metochites. But as soon as he finished his studies at age 20, Metochites’ star student ran off to Vatopedi on Athos — of course, this runaway student was St. Gregory Palamas. After spending a decade on the mountain, he and some of his fellow monks went to Thessaloniki due to the threat of Turkish attacks, and that’s how he wound up there to be eventually chosen as its metropolitan. This presentation is not going to go into the very long and complicated details of his conflict with Barlaam of Calabria, but I want to focus on a couple of points that are relevant here. St. Gregory is quite useful for our purposes here in that he is one of a selection of late Byzantine saints who can be fairly and accurately described as being Scholastically educated, but not Scholastic theologians. St. Gregory’s familiarity and mastery of the kind of Aristotelian scholarly debate that was inseparable from the Scholastic universities of the time helped make him the first choice for the Athonite monks when they needed someone to speak with Barlaam, and St. Gregory did so with gusto. He pulled out all the stops — his early letters in particular to Barlaam are, on purely technical grounds, a razor-sharp deployment of Aristotelian dialectic. But unlike Barlaam, St. Gregory theologizes on an experiential foundation — he doesn’t mistake his education for being the basis of true enlightenment or understanding. It is easy to see that St. Gregory is a complete disciple of St. John of Damascus in this regard — like St. John of Damascus, he first sought purification and the opening of his spiritual eyes in the desert of Athos, and then used his education as a tool, not an end in and of itself. He would be followed by his spiritual disciples, Neilos Kabasilas and St. Nicholas Kabasilas (the former’s nephew). It is important to pause on that note and stress that the problem was not that modern universities were established, or that secular philosophy was taught there — as we can see from these examples, the education found there could be put to extraordinarily good use. Rather, the problem was the culture which elevated secular learning uncritically, and then tried to teach theologizing according to the same secular method. Parallel to these developments, most the major universities in Western Europe began to crop up between 1100-1200 AD (shortly after the schism), and they found themselves swept by the same spirit which was stirring in the East. At the beginning, some attempted to resist its larger excesses — notably, the University of Paris became so uncomfortable with the uncritical embrace of pagan philosophy in other schools that they (briefly) initiated major cuts to their secular philosophy program, reducing that part of their curriculum to just the fundamentals of Aristotelian logic. This did little to stem the tide, however, as other schools proudly declared their willingness to teach all of the wisdom of the ancients, not just a finely picked selection (unlike those prudish chickens in Paris). Aquinas, rather interestingly, modeled his Summa Theologica (Summary of Theology) on the Fount of Wisdom by St. John of Damascus, and he cites St. John more than any other source. Yet, it is clear from page 1 that he is of a very different mind than St. John. Rather than the very circumspect reluctance that St. John displays in his preface, Aquinas flatly states that he believes that his book is needed because nobody else’s (meaning, no patristic source) is complete or well organized enough (he even goes so far as to say that some waste their time on useless questions). Later, in the Second Part of Part 2, he makes another rather revealing comment: he talks about how it is often preferable for theological debate to happen behind closed doors, so as not to confuse the simple-minded with ideas beyond them. This stands in subtle but noticeable contrast to St. John’s instruction that plain and understandable speech is preferable except when otherwise necessary, so that the uneducated are not unnecessarily confused. St. John understands that elevated and complicated rhetoric can be confusing to those unprepared to follow it, and so he advises its careful use. Aquinas views it as the preferable first choice, and sees theology through an effectively an elitist academic lens — something to be debated and hashed out by an intellectual upper crust in private. The difference between the two is also obvious in their respective books’ purposes — St. John, under obedience, produced a book intended as spiritually intellectual instruction as a gift for his adopted brother. Aquinas’ Summa was intended as a textbook for students — a compendium of facts and arguments to be memorized and debated in a classroom. Finally, he viewed debate and Aristotelian logic as being capable of resolving effectively all theological truth on their own, without the practical need for experiential theology stressed by St. John. And this trust in the sufficiency of reasoning from a purely academic foundation fills Aquinas with enough confidence that he directly argues with St. John’s positions in a number of areas (not the least of which was St. John’s trinitarian doctrine, which left no room for the Filioque), despite his desire to model his book after St. John’s work. Now, to be fair to Aquinas, not everything he said was wrong — some of the most famous sections of the Summa, such as the ‘Five Ways’ are simply a curated set of teachings from fathers like St. Gregory of Nazianzus and St. Basil the Great. And Scholasticism as a theological movement had a lot more diversity than just Aquinas’s teachings — in many respects (strange as it might sound), Aquinas represented the moderate corner of the movement. It probably says something that a man so willing to go to war with the fathers he tries to emulate is the moderate in the room. Barlaam (and the larger Scholastic family to which his teachings belonged) was effectively a nominalist/relativist — he argued that God could be described in Aristotelian logical terms up until we get to God, which is ultimately unknowable (essentially, we can’t ever really know anything definite about God). Aquinas, unlike Barlaam, accepted the notion of divine revelation — but he believed that the same truths could be learned and understood and deduced in a purely academic context, effectively rendering the experiential component superfluous — especially since in his view it was effectively impossible to achieve. Back to events outside, the next century was marked in the East by ever-contracting borders and endless Turkish invasions, and an increasingly undeniable likelihood that even Constantinople would eventually fall — and to some men, particularly certain academics, the Ancient world as described by the pagans, with its soaring cultural achievements, world-conquering kings and emperors, and seemingly endless wealth of eloquent philosophers, became an ever-more alluring vision in a darkening world. And in the West, particularly in Italy, an increasingly monarchical, corrupt, and predatory Papacy was sowing seeds of discontent in the learned men and universities of the West, who looked on the towering edifice of Scholastic thought and began to doubt its claims to adhering to a theologically-anchored ultimate truth. In the early 1400s, the University of Constantinople would have two particularly noteworthy students. Both would study under a very noteworthy teacher of philosophy — a man named Gemistus Plethon. Plethon was among the most outspoken of the pagan-extolling academics in the school, and would be led on by his romanticism and intellectual obsession with pagan philosophy to the point where he would secretly abandon Orthodoxy altogether — not for Catholicism, but for an occultic religion of his own devising; combining the Olympian gods of the ancients, elements from the Jewish Kabbalah and Zoroastrian (Persian fire-worship) mysticism, and centering it on the worship of the self and man’s own intellect. Plethon’s two students were destined to become bitter opponents, for they were none other than St. Mark of Ephesus, and Basil Bessarion — the future defender of Orthodoxy and the leader of the Unionists at the Council of Florence, respectively. It should come as no surprise that St. Mark, insofar as he might have known of Plethon’s true beliefs, took little more than a solid grounding in philosophical theory and logic from Plethon’s classes, and upon graduating turned to an ascetic life, though eventually he would be drawn out from his monastery and made metropolitan of Ephesus. Bessarion, interestingly enough, joined a different monastery, eventually becoming its abbot before being made metropolitan of Nicaea. Unlike St. Mark however, Bessarion would keep a very close relationship with his former teacher Plethon — and as it would eventually emerge after his death as a cardinal in Italy (Bessarion would abandon his see after the failure of the Council of Florence, when the pope offered him a cardinalship as a reward for his support for Union — and he would eventually become a candidate for the papacy on two occasions), Bessarion was well aware of Plethon’s beliefs, and kept a number of his occultic writings secretly stashed away among his belongings, where they were only discovered after his death. When these two former classmates dueled at Florence, it made for a very revealing contrast. Like St. Gregory Palamas before him, St. Mark was formally educated as a Scholastic — but his spiritual and theological formation was anything but. Bessarion…well, we don’t really know what Bessarion believed deep down, but he readily sided with the Latin interpretation of the fathers. St. Mark used his philosophical training to blistering effect — judging from how he presented his positions, it strongly looks like he decided to beat them at their own game, even going so far as to intentionally structure part of his rebuttal directly on the structure used by Aquinas in his Summa Theologica, even going so far as to cite Aquinas against Aquinas’ own conclusions. St. Mark’s attitude was essentially that of his patristic forebears: such pagan/secular intellectual tools can and should be used to defend and expound the truth when necessary — but it must be subordinated to the divine truth revealed in scripture and properly understood by the fathers. As the Council went on, Plethon (who had hitched a ride to Italy with the Greek delegation) found a ready audience in Florentine intellectual circles, and soon found himself surrounded by admirers and other interested parties. He even hung out with Cosimo de Medici, the forebear of what would become the famous aristocratic banking dynasty of Renaissance Europe, and helped inspired him to found a secular, humanist academy in Florence that was modelled on Plethon’s suggestions. Plethon, emboldened by his newfound success, even began to speak more openly of his occult activities. Another Greek philosopher and university teacher, a man named Gregory of Trebizond, was invited to one of these gatherings, where he heard Plethon openly boast that the day was coming when both the worshippers of Christ and Mohammed would be swept away, and that every region of the globe would embrace the light of a new teaching and religion with one intelligence, one mind, and one spirit. Gregory later recounted his horror at Plethon’s declarations in his own writings, where he said: “I was so shocked by these words that I hated him ever after and feared him like a poisonous viper, and I could no longer bear to see or hear him.” Plethon would eventually return home and would die in Ottoman-occupied Greece, but his devotees would steal his body and transport it to Italy for reburial, treating his bones with all the honor of a holy relic. These ‘Romantic Humanists’, with their desire to rediscover a mystical/occultic wisdom in the learning of the pagan ancients, soon spawned a reactionary movement themselves. Even as Plethon and his counterparts in the West propounded a de-Christianized worldview and corresponding educational ethos, contemporaries such as Niccolo Machiavelli (and later followers of the same mind, such as Thomas Hobbes 200 years later, who expanded on his philosophy in ‘Leviathan’), sneered at the Romantics’ desire for a pagan-derived mystical truth, and mocked them for still being bound by a fundamentally Christian-influenced desire for spiritual enlightenment. Machiavelli declared in his ‘Discourses on Livy’ that by doing so, they (meaning Plethon and the rest) vainly sought comfort in the ‘soft virtues’ of the pagans while adding a Christian-derived moral veneer to them. He then went on to say that the future would belong to those who could embrace a darker vision of the pagans by emulating what was to him their greatest virtue — the worship of worldly power. It was true that a new religion and spirit would need to be drawn from them to sweep away the empty shell of Christianity, he continued, but it would be a religion whose only purpose was serve the truly enlightened wielders of power as a tool to dominate and manipulate lesser men. These two strains of post-Scholastic thought, the Romantic Humanist and the Modernist Humanist, would be the guiding lights of the century to come and would correspondingly influence education in different directions. For the most part, the Romantic Humanists would prevail in the universities and academies up through the 19th Century, developing curricula almost entirely dependent on pagan literature and learning, with the intent that the ‘soft virtues’ of the pagans would somehow produce virtuous citizens and students just as they imagined the pagans produced for their own societies. As time would show, their embrace of the pagan inheritance would instead cause the societies they built to follow an eerily similar path — one of unprecedent high culture achievements in art and literature, but one increasingly hollowed out morally and spiritually, eventually succumbing completely to the long predicted cynical utilitarianism of Machiavelli and his kind. This Modernist Humanism, with its deep disdain for even the pretense of spiritual virtue except as a weapon of social control, had already dug deep roots in the political culture of Europe, eventually spawning the ruthless forces of modern nationalism/fascism, and Marxism, which, as Machiavelli foresaw, would eventually destroy the idealized Romantic philosophy that had dominated European academia and pedagogy since the late Renaissance, just as Romantic Humanism effectively destroyed the Scholastic system that birthed it, bringing us the intensely utilitarian model of education that dominates academia and education worldwide today. At the same time, however, the increasingly philistinic attitude of Modernist Humanism towards high culture would eventually spawn what we know as the contemporary Classical Education movement in the later 20th century, which sought to recapture the cultural and intellectual richness that had been lost. Under the wide umbrella of the Classical Education movement can be found both Romantic Humanists and Neo-Scholastics, as well as combinations of the two, and there is much to admire in them, particularly in pedagogical rigor and cultural depth. But if we compare many of the curricula and educational philosophies that prevail in this movement, we quickly find that many of the contemporary Romantic Humanists and Neo-Scholastics are essentially aligned with the spirits of their respective forbears in their approach to and application of pagan and secular learning, rather than the Patristic spirit — that critically discerning eye so characteristic of the saints is noticeably absent. Consequently, it is critical that we work to keep that Patristic eye open when utilizing the intellectual inheritance of the pagan and secular world, rather than surrendering to the failed warmed-up leftover interpretations of classical education of the last few centuries.